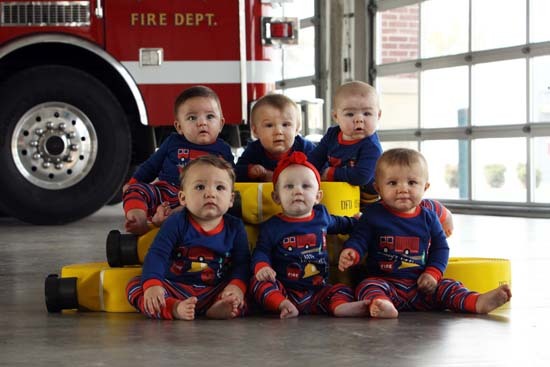 DURANT, OK -- To ring in the holidays, a fire department in Oklahoma released a Christmas card starring some tiny firefighters and it may be the cutest holiday card you will see this season. 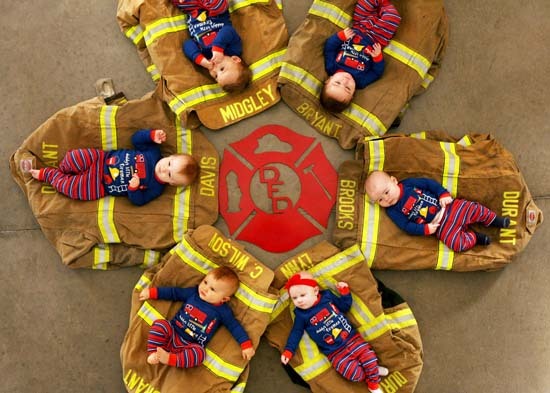 The Durant Fire Department is a small close knit group of 33 firefighters and this year six of the firefighters had babies around the same time. Owen, Augustus, Mitchell, Ava, Nash and Brevyn were all born between February and June 2016. Durant Firefighter and paramedic Richard Parker has a photography background and came up with the idea to take the Christmas photos. In a fire department there are so many things that make up the dynamic of an engine crew, certain shift, or even the department as a whole. Training, shift duties, trauma, medical calls, wrecks, rescues, structure fires and brush fires are some of the many things that fire departments are called to do and in many cases, tend to define who they are as a fire department. However, if you ask many of the fire fighters in Durant, OK what defines them; they will say brotherhood and family. That is why when this small paid department of 33 looked back on the year and saw that 6 of their brothers had newborn babies, it was time to show the public what was at the core of their department. Instead of sending out the traditional Christmas card with a photograph of the guys in front of the station, it was decided that it would be great to personalize the cards and showcase what was really important to them. Family. Here are some shots from the department's new additions. 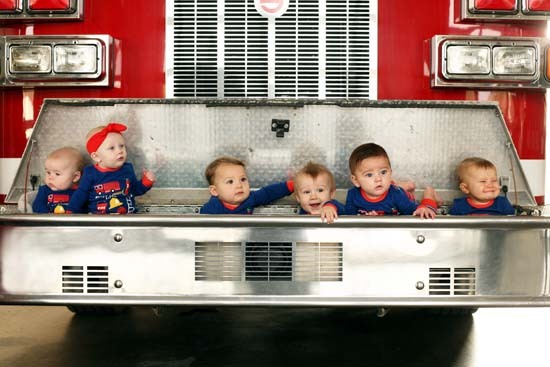 The photos have gone viral and this is not the last time we will see all the babies together. The fire department told Eyewitness News they hope to do a senior photo back at the station when the kids graduate high school.